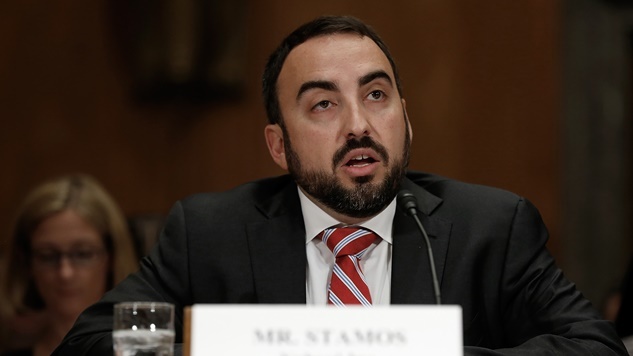 Facebook’s chief security officer, Alex Stamos, is preparing to exit the company as more information regarding the spread of false news and propaganda by Russian entities throughout the platform continues to become public knowledge. His exit points to tensions between multiple executives at the revolutionary social media platform that have persisted for a number of years, as the New York Times reports. Much of the strain centered on a difference of opinion about how much information the company should have made public as they dealt with extensive Russian interference during the 2016 presidential election. Santos lobbied for more public disclosure and proposed a restructuring plan to address the problem, but was met with heavy resistance from other Facebook heads. That struggle led to two-plus years of silence that ultimately resulted in a heavy loss of trust in the company once the prevalence of Russian interference was first revealed last September. As Santos was uncovering the aggressive push of misinformation, DNC and propaganda in November 2016, Facebook CEO Mark Zuckerberg dismissed the claim that false news influenced the 2016 election as a “pretty crazy idea.” Santos continued his investigation and found so much evidence of Russian meddling within the platform that the disclosure argument became a central point of contention. In early 2017, Santos presented an extensive report regarding his investigation, but saw almost every mention of Russia removed before its release. It was released as hypothetical argument as to how a foreign nation could manipulate the platform and mentioned Russia once in a footnote that stated Santos’ findings didn’t contradict a report from the director of national intelligence that confirmed Russian interference in the 2016 election, targeting Hillary Clinton in particular. The decision to scrub mentions of Russia from the report backfired shortly after when Time revealed the same evidence of Russian interference as Santos. Facebook initially denied the claim but was forced to admit in September 2017 that the company had received $100,000 from Russian entities to run around 3,000 divisive ads targeting American voters. Recently, Facebook took another public hit when they were forced to suspend the activity of Cambridge Analytica, a voter-profiling company with ties to the Trump campaign, after it was discovered that they mined the personal information of 50 million Facebook users without their knowledge. “They were treating it as a PR problem, when it’s a business problem,” said Facebook investor Roger McNamee. As executives feared how the knowledge of the company’s infiltration would affect their legacy and bottom line, Santos continued to advocate for disclosure of as much information as possible. This ultimately morphed into a struggle between the security team and the legal and policy teams that centered on how the release of information would impede the continued growth and business dealings of the platform. “The people whose job is to protect the user always are fighting an uphill battle against the people whose job is to make money for the company,” said former employee Sandy Parakilas. The conflict ultimately ended with Santos’s security team being reduced from 120 employees to three through reassignments and Santos’s responsibilities being reassigned to other employees in December 2017. Some executives still believe that Facebook would have been better off releasing less information regarding Russia, but have asked Santos to stay on through August to oversee the transfer of his duties to others and prevent the negative public perception his departure would bring so close to the revelations that Facebook sat on its knowledge of Russian interference for years. Santos released a statement on Monday, via Twitter, of all mediums, confirming that his role had changed but that he was still engaged fully while preparing for his exit. Santos’ treatment within the company has led some to believe that Facebook executive are unfairly punishing him for his consistent push for public disclosure, choosing image over duty. That choice has already resulted in an online movement advocating that Facebook users leave the platform and has backed the company into a corner that it has no positive way of escaping. “Facebook cares so much about its image that the executives don’t want to come out and tell the whole truth when things go wrong … but if they don’t, it damages their image,” said former employee Tavis McGinn, who has conducted polling on Facebook’s reputation internationally with Honest Data. Every path forward for Facebook will carry some form of public scrutiny and punishment, but users’ faith in the platform will be the hardest thing to reclaim, especially after the loudest voice for public awareness within the company leaves. “I couldn’t believe these guys I once knew so well had gotten so far off track,” said McNamee.